Jewelry, Art and Life: Too Many Twins! 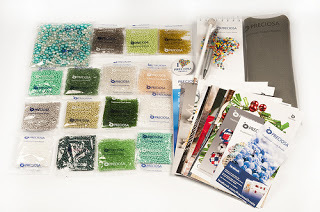 So, wow, last week, I got a message from someone at the Preciosa Ornela company (*the* manufacturer of Czech glass beads) that I had been selected as one of the December winners of their Beads for Blog Post promotion! What did that mean? It meant that I got a lot of beads. Like, 1,000 grams of beads. A full kilo! I wasn't expecting my beads until later this week, but sure enough, first thing Monday morning, the DHL guy showed up, sending Moose into a crazed frenzy while I tried to get out onto the back porch and sign for my box. Inside was a hoard of beady treasures! In addition to the thirteen (13!) 50 gram packs of Twin beads, there was a package of size 11 seeds, a package of peanut beads, a huge bag of pearlized rounds and pressed glass beads, a couple of funky pens and pencils, a pin, a note pad, a bead mat, and a whole stack of tutorials! 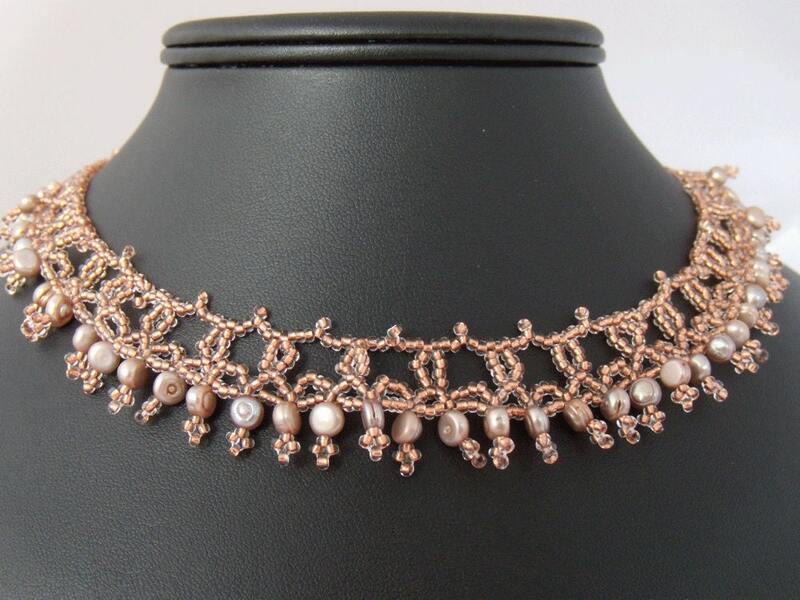 Czech seed bead heaven, for sure! 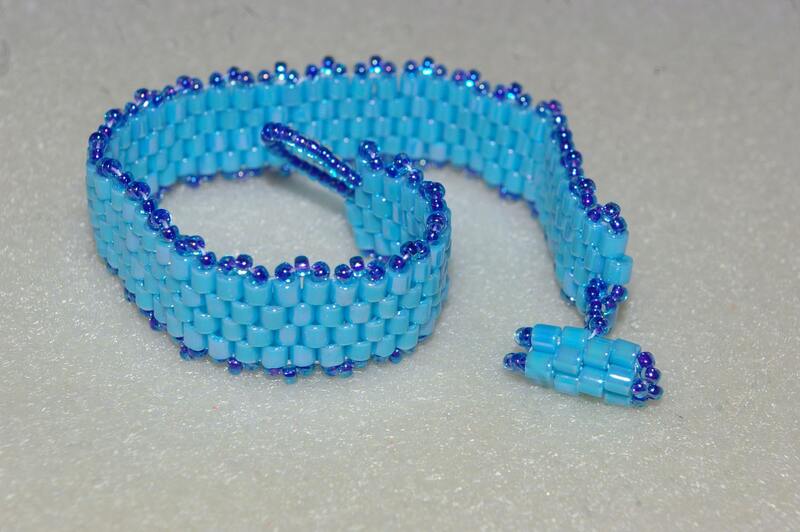 I started playing with the Twins in flat circular peyote stitch, and came up with a few interesting ideas. My sister has requested a small-ish beaded chain to wear, and I picked out a beautiful matte grey/white color of Twins and some metallic grey-brown seeds from my own stash. I also started playing with the Twins doing tubular peyote. While I love the feel of the chain (sort of like a midweight mesh chain), I can't stand the sight of the holes and thread between beads! Ack! I may have to experiment with adding some smaller 15s between each Twin, or maybe some larger beads... Either way, even though I didn't like the exposed holes, I loved the feel of the finished tube, so this definitely deserves some more attention. 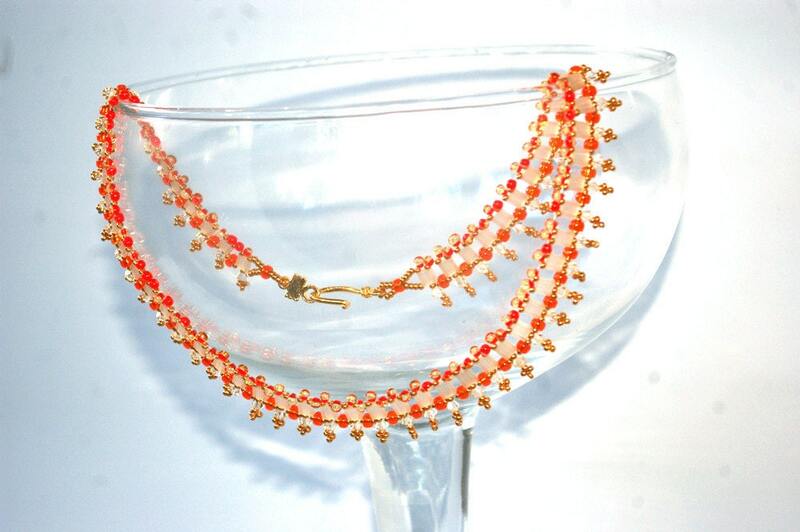 If you're a bead blogger, you need to check out the Preciosa Ornela Beads for Blog Post promotion. It's like they used to say about the New York Lottery: You can't win if you don't enter! Congratulations!!! What a great win. WOW! Congrats! you have win a wonderful treasure!